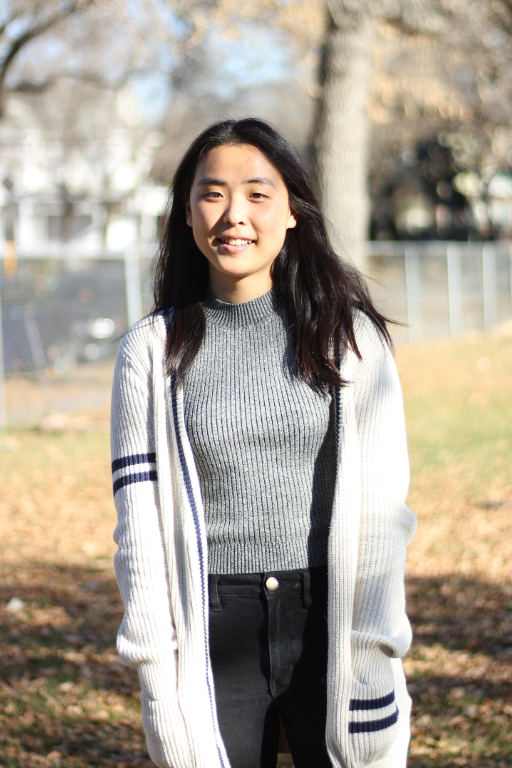 The City of Edmonton and the City of Edmonton Youth Council have appointed Sophie Kim as Edmonton’s new Youth Poet Laureate. Sophie’s Kim’s love for the written word started in English class where she currently attends at Old Scona Academic high school. Her journey started with an assignment focused on a personal response text and soon evolved to seeing her prose and poetry published in the school’s writing and arts magazine. Aside from poetry, she is deeply rooted in health, physical activity and biological sciences, hoping one day to pursue a career as a healthcare professional. In the meantime, Kim aims to reach out to high school students who are not yet prominent writers. The role of the Youth Poet Laureate is to reflect the life of a city through poetry readings, and act as a youth ambassador for the literary arts in Edmonton. As Youth Poet Laureate for the 2018-19 term, Sophie Sophie will promote youth civic engagement by elevating the voices of other youth in Edmonton through poetry. She will perform original work at City Council, youth and youth city-wide events as well as and create a community poetry project. In 2015, Edmonton became only the second city in Canada to have a Youth Poet Laureate. The position is a joint collaboration between the Edmonton Poetry Festival, City of Edmonton Youth Council and the City of Edmonton. As part of Youth Poet Laureate role they work on a project to engage Edmontonian youth with poetry. Sophie Kim has dedicated to launch magazine project to create a space for youth to share their story of growing up in a collection of poetry by other youth. By creating this platform Sophie hopes to make sharing poetry more approachable and accessible, as well as emphasize the value of youth voices. The theme “growing up/ our roots” aims to showcase diversity in Edmonton while creating a sense of unity among youth across the city, not just in their schools or communities. Calling all youth ages 16-23! This magazine collection will showcase the diversity in Edmonton's youth and provide a platform for youth to share their stories. This is a Youth Poet Laureate project supported by the City of Edmonton. Edmonton is a vibrant city, home to an amalgam of different stories. As youth share this space to grow, these stories become valuable reflections of the roots that make us both diverse and interconnected. This theme is intended to allow for your individual colors to shine through your poetry and simultaneously contribute to the mosaic that bring us together. Think about your journey maturing into a young adult. This can be about culture, language, hobbies, family dynamics, immigration, growing up in Edmonton, identity, school, sports... whatever you're comfortable with and feel passionate writing about! What has contributed to the making of you as a person? Who/ what grounds you? Focusing on one branch of your "roots" will help keep your piece personal and unique, but it's all up to you as the poet!